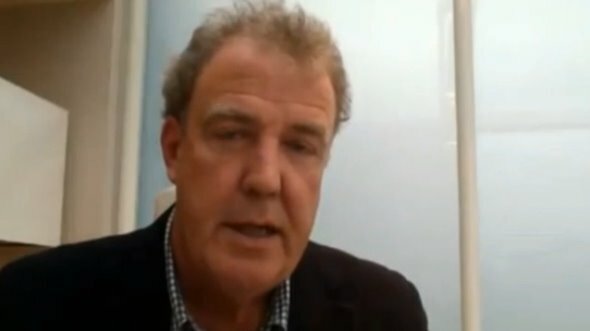 Jeremy Clarkson has apologized for the apparent use of a racial slur in Top Gear. As Clarkson recounts a nursery rhyme, ‘Eeny, meeny, miny, moe’, in a hitherto unseen take for an item a few years ago, the Mirror tabloid alleges that the word n***** can be heard. Clarkson went to Twitter to deny that he had used the word, and that he ‘never’ uses it. In a follow-up video, Clarkson clarifies that he mumbled the word where n***** normally would be. Clarkson notes that he even wrote a memo to ensure that the take was not used. Our two videos are below: the first features Clarkson’s apology, the second the clip itself. The BBC has launched an investigation.